The Services Directory contains links for all the available services. The image below shows an example of what you see when you click a link for a geoprocessing service. The breadcrumbs below the title bar show that this is the geoprocessing service ESRI_Elevation_World in the folder Elevation. 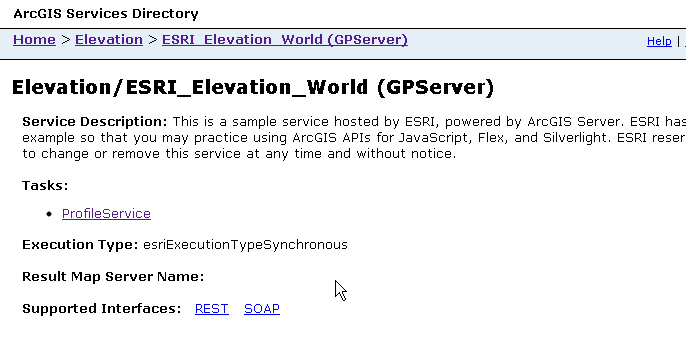 The address bar shows that this service is running on the ESRI sample server sampleserver2.arcgisonline.com. 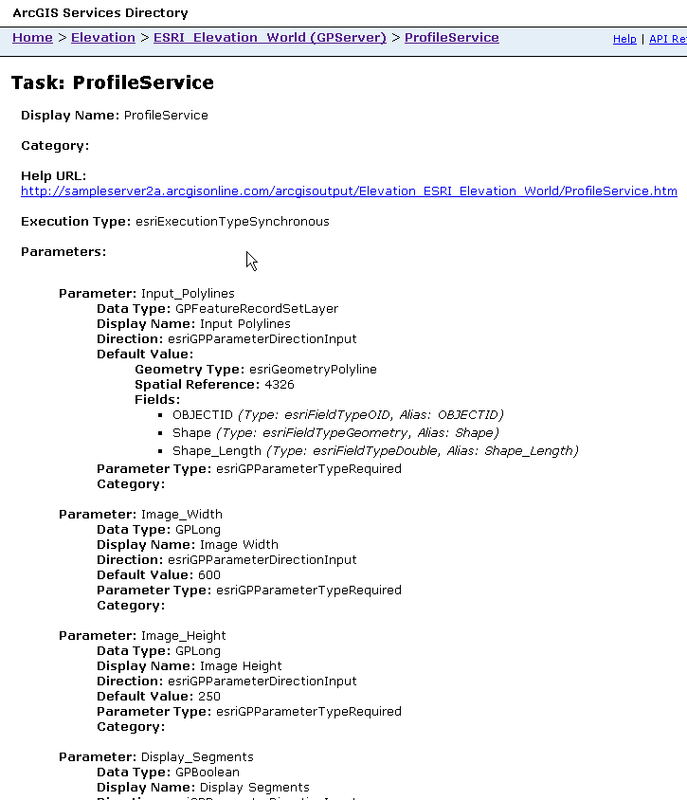 In the service there is one task, Profile Service, which is a geoprocessing model available on the server. A geoprocessing service can have multiple tasks available, because the server administrator publishes the service from a toolbox that can hold many models.